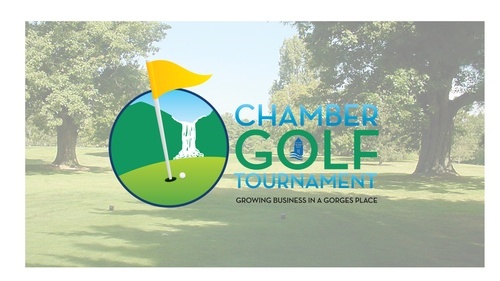 Play, network, and have fun during Ithaca's premier Golf Tournament at the Country Club of Ithaca! Registration starts at 10 am. Light refreshments offered prior to round. Shotgun start at 11:30 am. - Two golf carts sponsored by Hilton Garden Inn. - Complimentary BBQ dinner after play provided by CSP Management. - Complimentary beer & snacks on the course at three Hospitality Tents. ...and other on the course fun! - On the course beverage cart sponsored by Ithaca Marriott Downtown. - Admission to the post-tournament awards reception. - Additional tournament games may be offered! Register your team now! We are limited to the first 36 teams. Registration and payment must be received by August 1, 2019. Once capacity is reached, 2-3 teams will be added as alternates on a waiting list in the case of a cancelation or a no-show. Please call the Chamber at (607) 273-7080 should you have any questions. SPONSORSHIPS AVAILABLE! Email Jennifer Tavares at jtavares@tompkinschamber.org for more information.